Born in Kharkiv, Ukraine Anna began her piano studies at the age of six. At the age of eleven she performed at the UNESCO Headquarters in Paris as the youngest prizewinner of the Milosz Magin International Piano Competition. She graduated from Special Music School for Gifted Children, Kharkiv, Ukraine and from the Juilliard School. At the age of twelve Anna made her orchestral debut, playing Rachmaninov's Piano concerto #1. Since then she has been a soloist with Montreal Symphony Orchestra, St. Petersburg Philharmonic Orchestra, Cincinnati Symphony Orchestra and Netherlands Symphony Orchestra and other world's most renowned organizations. As an international recitalist, Anna has performed in Canada, France, Japan, Mexico, Netherlands, Russia and United States. Anna has won First Prizes in International Competitions in New York, Louisiana, Netherlands and Denver. Her engagements in Spring 2010 included a debut at Alice Tully Hall and at Stern Auditorium at Carnegie Hall in New-York City. Ms. Tsoi was born in Tashkent, Soviet Union and began to learn the violin at the age of six. She subsequently attended the Moscow Special Music School and later the Moscow Conservatory, where her teachers were Zinaida Gilels and Valery Klimov. During her student years, Ms. Tsoi became a very active chamber music player and attended various music festivals. Her mentors were members of the Borodin Quartet, William Pleeth, Louis Krasner, and Alfred Schnittke. She has performed on tours throughout Russia, the United States, Italy, and Great Britain. Ms. Tsoi has been a First Violinist for the Orquesta del Principado de Asturias, Spain, the Netherlands Ballet Orchestra, and Radio Philharmonic Orchestra Netherlands. 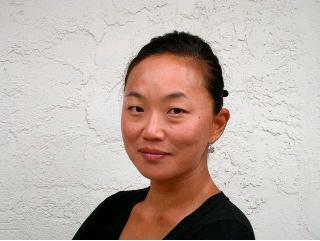 Ms. Tsoi moved to the San Francisco Bay Area with her family in 2001. She regularly performs chamber music with her husband violinist, Alexander Barantschik, and as a freelance player, she takes part in recording projects and concert tours with the San Francisco Symphony. Born in Moscow, Mariya Borozina began playing the violin at the age of 5, following in the footsteps of her violinist father. Starting at the Gnessins School of Music, she continued her studies at the Moscow Conservatory, class of Marina Yashvili, After moving to the US, she earned a postgraduate degree at Manhattan School of Music studying with Glenn Dicterow, Lisa Kim, Yoko Takebe, and Albert Markov. DMs. Borozina is a member of First Violin sections of the San Francisco Opera and San Francisco Ballet orchestras. She also performs with other orchestras including the San Francisco Symphony, Midsummer Mozart Festival, and performs as a soloist and Concertmaster with Russian Chamber Orchestra. She took part in a number of international music festivals, including Verbier Festival, Lucerne Festival, Key West, Spoleto USA. She toured with Verbier Festival Orchestra, where she performed as a concertmaster, and Verbier Chamber Festival Chamber Orchestra. She worked with such conductors as James Levine, Kurt Mazur, Gustavo Dudamel and many others. An avid chamber music player, she has appeared as part of several local groups, including Eos Ensemble. 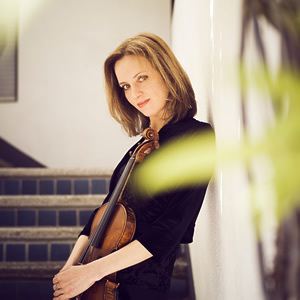 She is a regular performer at the San Francisco Noontime Concert series and is a concertmaster and soloist for the Russian Chamber Orchestra. As an educator, she often coaches chamber groups and orchestras, performs at outreach programs, and teaches privately. She is frequently invited to judge local music competitions. Mariya resides in Millbrae with her husband and their daughter. 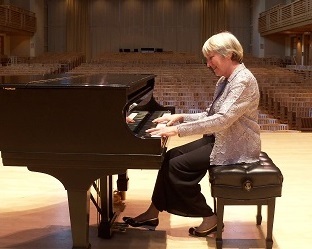 Pianist, Marilyn Thompson received her Bachelor Degree from the San Francisco Conservatory of Music, where she was a student of Adolph Baller. Upon graduation, she was awarded a Fulbright grant to the Vienna Academy of Music. During that year, she performed in Heiligenstadt and in the Beethovensaal in Vienna. She holds a Masters Degree from Stanford University. Miss Thompson has performed in chamber music concerts in New York City, including Alice Tully Hall, Carnegie Hall, and the 92nd Street “Y.” Other performance venues include: the Philip’s Gallery, Washington D.C.; Symphony Hall, Boston; Davies Symphony Hall, San Francisco; and the Teatro National, San Jose, Costa Rico. Marilyn has taught at the San Francisco Conservatory of Music, the College of Holy Names in Oakland, and the University of California at Santa Cruz. She is presently on the faculty at Sonoma State University, where she has taught since 1976. Miss Thompson is the pianist member of the Trio Navarro, along with violinist, Roy Malan; and cellist, Jill Brindel. Irina Behrendt is a graduate of the New England Conservatory of Music where she earned a Graduate Diploma in piano performance. She also holds a MM in piano performance from the Petrozavodsk State Conservatory (Petrozavodsk, Russia) and a BM in piano performance and pedagogy from the Rachmaninoff College of Music (Kaliningrad, Russia). As a child, she won prizes at the New Names Russian National Competition and at the Music Spring International Festival in Kaliningrad. Having grown up in a musical family, Irina has always had a passion for collaborative playing and started her professional career as a solo performer and accompanist with the Kaliningrad Philharmonic Society and as a staff accompanist for the Kaliningrad Rachmaninoff College of Music. Irina immigrated to the US in 1998 and since then has been fortunate to study piano and chamber music under such masters as Patricia Zander, Benjamin Zander, Vladimir Feltsman, Stephen Drury, William Corbett-Jones, Boromeo String Quartet, and the Alexander String Quartet. She was a Presser Scholar 2000 and the Avalos Prize winner at the San Francisco State University, received an honorable mention at the Fifth Ludmila Knezkova-Hussey International Piano Competition in Bathurst, Canada, and became a finalist of the First Annual Piano Competition of the Steinway Society of Massachusetts. 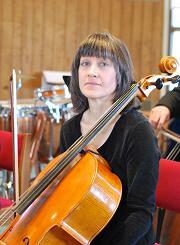 Ms. Behrendt has appeared in solo and chamber music concerts in Russia, England, and the US. She is currently on the faculty of the New Mozart School of Music in Palo Alto, and a pianist and organist for the CUMC in Half Moon Bay. Ms. Behrendt resides in Belmont, CA with her husband Adrian and two beautiful children, Arianna, age 5 and Daniel, age 3. Victoria Ehrlich, a native Texan, studied at Southern Methodist University, the Academia di Santa Cecilia in Rome, and at the State University of New York at Stony Brook. Her teachers included Robert Marsh, Bernard Greenhouse and Robert Gardner. Prior to joining the San Francisco Opera Orchestra in 1984, she played with the Santa Fe Opera, the Santa Fe Chamber Music Festival, and was principal cellist with the Symphonies of Omaha, Richmond and Phoenix. 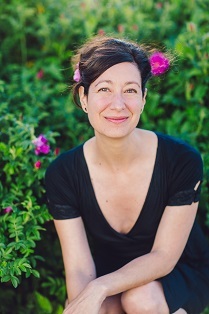 Ms. Ehrlich has performed with the San Francisco Ballet, San Francisco Symphony, the New Century Chamber Orchestra, Berkeley Symphony, Classical Philharmonic, Lamplighters, and the percussion group Adesso. She is also an active chamber musician. Recent work includes several concerts involving collaborations between poets and composers. Sergei began his musical education at age seven and was composing by age eleven. After graduating from the Pushkin Musical College with honors in 1983, he attended Moscow State Conservatory, graduating in 1990. From 1986 to the present time he has been a member of the Arlekin String Quartet, which was organized by exceptionally talented students at the conservatory under patronage of the world-famous Borodin String Quartet. With Arlekin, Mr. Riabtchenko has performed in Russia, England, Belgium and the United States. Currently based in San Francisco, they play throughout the Bay Area and entire West Coast. He has been an ensemble member and solo performer with the Russian Chamber Orchestra since its inception. Mr. Riabtchenko also earned a degree in composing; he has devoted the last few years to writing exclusively Russian sacred music. The most important of his works are the Liturgy of St. John Chrysostom and All-Night Vigil. Lev Rankov, Violin, graduated with distinction in solo performance from the St. Petersburg Concervatory, Russia. From 1969 to 1978 he was Concertmaster of the St. Petersburg Chamber Orchestra with which he also extensively performed as a soloist.Upon immigrating to the USA in 1979, he served as Concermaster of the Carmel Chamber Orchestra and Principal Second Violin with the Monterey Symphony Orchestra. Since 1979, he has been playing with the San Francisco Ballet orchestra. Mr. Rankov has been a member of San Francisco Opera orchestra since 1980. 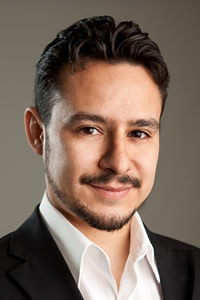 Osvaldo was the recipient of the Mexican National Fund for Culture and Arts grant in 2011 to finish his graduate studies at San Francisco State University (SFSU); The Avalos Award in 2010 after his interpretation of Latin American Music; and the Concerto Competition at SFSU in 2010; the FINANCIARTE grant in 2006 to produce, direct and perform the opera "La Voix Humaine" by Francis Poulenc; and the Mexican National Fund for Culture and Arts grant in 2003 to study a year at the University of Texas in Austin. In Mexico he was admired due to his capacity to approach solo repertoire as well as to perform chamber music, accompany singers and instrumentalists, coach opera, and direct choirs both amateur and professional. He has peformed with the Orchesta Filarmonica de Sonora, The San Francisco State University Orchestra, the Orquesta Sinfonica de Nuevo Leon, the Orquesta Juvenil de Nuevo Leon. He has appeared at the Festival Ceiba in Tabasco, Mexico, Encuentro Internacional de Opera in Coahuila, the Vocal Cycle at the Palace of Fine Arts in Mexico City, the Festival Culltural Tamaulipas, Spring Festival of Radio Nuevo Leon, and the Festival Rio de Bravo in Coahuila. Osvaldo de Leon finished his Bachelor's degree in Piano Performance at Escuela Superior de Musica y Danza de Monterrey, Mexico and his Master's degree in Piano Performance and Chamber Music at San Francisco State University. His teachers have been Gerardo Antonio Gonzalez, Naoya Seino, Gregory Allen and Dr. Roger Woodward. He also has studies in composition under the guidance of Jorge Torres and Georgina Derbez. Laura Griffiths is very active in the San Francisco Bay area, where she is principal oboist of the San Francisco Ballet Orchestra. Laura is active in numberous summer festivals, having played principal oboe for the Britt Festival Orchestra in Oregon and the Mainly Mozart Festival in San Diego. She has also served as a faculty member of the Utah Music Festival and of the Music at Kirkwood in California. Originally from Alma, Michigan, Laura received a bachelor of music degree and a performer's certificate from the Eastman School of Music in 1991. Her teachers have included Richard Klimer at Eastman and Roger Rehm at Central Michigan University. Previously, Laura served as Principal Oboe of the Cleveland Orchestra from 2003 to 2005, Associate Principal Oboe of the San Francisco Symphony from 2002 to 2003, and Principal Oboe of the Rochester Philharmonic Orchestra from 1994 to 2002. She has been guest Principal Oboe with the Boston Symphony Orchestra, the Los Angeles Philharmonic, the Saint Louis Symphony Orchestra, and the St. Paul Chamber Orchestra. Ms. Griffiths has also served on the faculty of Eastmand and Oberlin Schools of Music. Natalya Lundtvedt is a native of Minsk, Belarus. She began her piano studies at age 6. In Minsk she studied at Glinka State Music Vocational College and Belarus State Academy of Music, graduating with honors. In 2001, she was awarded a full scholarship at the San Francisco Conservatory of Music where she studied under Professor Mack McCray and earned a Master in Musical Arts degree in 2003. She earned her Doctor of Musical Arts degree from the University of California, Los Angeles in 2009 while she studied under Professor Vitaly Margulis. She has participated in competitions and was awarded honors at the Belarus Liszt National Competition, Minsk, Belarus in 1994. In 1997, she became a laureate at Milosh Magin International Piano competition in Paris, France. In 2003, she was awarded First Prize in the Young Artist Award competition in California. In 2007, she earned Second Prize at the Russian School Piano Festival Competition in Freiburg, Germany. In 2009, she participated in two competitions where she won First Prize in the Bradshaw & Buono International Piano Competition in New York, and a special prize for the Best Performance of a Contemporary Piece in the Gabala International Piano Competition in Azerbaijan. Her performances in festivals includes the International Piano Festival at Mannes College of Music in New York, Music at Rowan University Festival in New Jersey, Northern Lights Music Festival in Minnesota, Russian School Piano Festival in Freiburg, Germany, and Pine Musica Festival in Imola, Italy. She has performed with the Belarus Philharmonic Society, the Belarus Symphony, the Russian Chamber Orchestra, and San Francisco Concerto Orchestra. 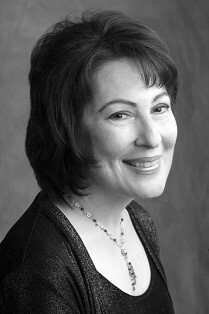 Her soloist career also includes performances in Fest der Innenhofe concert series in Germany, the Mozart & Company concert series in Los Angeles, Apollo Arts concert series in Northern California, and in San Francisco area performances with Noontime Concerts series, Old First Concerts series, and First Sundays Concerts series. 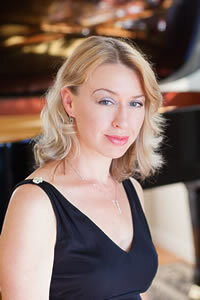 She is also a performing artist with Steinway Society of the Bay Area. In May 2009, she made her successful debut at the Weill Recital Hall in Carnegie Hall, New York. Her piano competition judging experience includes the 2013 MTAC Piano Concerto Solo Competition, and the 2013 Bay Area Music Association's Summer Music Legacy Open Competition. She is invited to judge the 2014 Young Pianist Beethoven Competition at San Jose State University and the 2014 MTAC Piano Concerto Solo Competition. 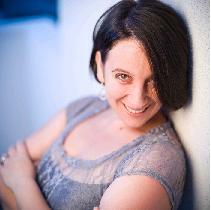 Natalya is a faculty member at Lena Grozman Piano School, and is currently teaching at Heald College as an adjunct professor. Born to a family of musicians in St. Petersburg, Russia, Ms. Sedukh began studying violin at the age of four, her first teachers being her father Grigory Sedukh and Savely Shalman. She is a graduate of Special Music School of the St. Petersburg Conservatory, and the Rimsky-Korsakov State Conservatory, where she studied under the guidance of Lev Ivaschenko and Vladimir Ovtcharek. She also holds Artist Diploma from Longy School of Music in Cambridge, MA, where she studied with Laura Bossert and Malcolm Lowe. Prizewinner of the International Spohr Competition in Weimar, Germany, Ms. Sedukh made her solo orchestral debut at the age of seven with the Chamber Orchestra of Liepaya, Latvia and has since appeared as soloist with St. Petersburg State Symphony Orchestra, Boston Virtuosi Orchestra, St.Petersburg Capella Symphony Orchestra, Newton Symphony Orchestra and Weimer State Capella Orchestra. 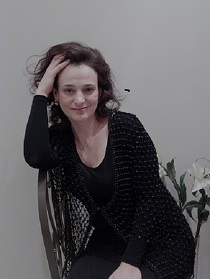 Ms. Sedukh with cellist, Terry King, presented the world premiere of Vladimir Uspensky's Double Concerto at the International St. Petersburg Spring Music Festival in 2001. In 2014 her engagements included collaboration with pianist Kirill Gerstein and members of San Francisco Symphony in a performance of Shostakovich Piano Quintet in Davies Symphony Hall. 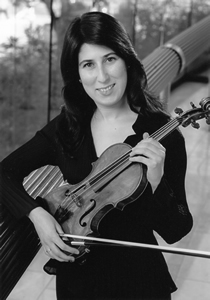 Following her passion for symphonic music, Ms. Sedukh pursued career in major American orchestras, presently being a member of 2nd violin section of San Francisco Symphony since 2009, and having previously served as a member of Boston Symphony Orchestra from 2004 to 2007. Ms. Sedukh resides with her family in San Francisco Bay Area since 2007. Eliot Lev proudly holds the Isaac Stern chair of the second violin section. Prior to joining the orchestra, they performed with the Utah Symphony as a member of the first violin section and acting assistant concertmaster, and with the Charlotte Symphony as a tenured associate concertmaster. Eliot is an alumnus of Roosevelt University where they studied with Vadim Gluzman. After Roosevelt, Eliot joined the New World Symphony where they were featured as a soloist with the Wieniawski Violin Concerto #1. Eliot is an active chamber musician and coach and has most recently appeared with the Ensemble SF, Intermezzo Chamber Music Series, Chamber Music Sundaes and SF Academy Orchestra. Eliot plays on a 1910 Neapolitan violin and an Ouchard bow generously purchased for them by the Carey family from Boston, MA, without whom their career would not have been possible. Eliot lives in San Francisco with their fianc�e, Stephanie MacAller, and their rescue dog and two cats. Amy Zanrosso, a powerful and dynamic musician, has worked within a wide range of musical genres - classical, contemporary, musical theatre, German cabaret and tango. Much in demand as a collaborator, and a chamber musician at heart, Amy has shared the stage with acclaimed soloists and principal members of countless symphony orchestras. In her years in Montreal she specialized in repertoire for cello and piano and was invited to play for numerous masterclasses led by internationally acclaimed pedagogues and performers such as Philippe Muller, Pieter Wispelwey, Matt Haimovitz, Peter Wiley and Paul Katz. Amy's love for string and piano chamber music has not stopped her from exploring other repertoire and ensemble playing. She has appeared as soloist with the Symphony of the Kootenays and the Russian Chamber Orchestra and has worked, from behind the piano, with Gustavo Dudamel for chorus rehearsals of Beethoven's 9th Symphony. In 2016 Amy went on tour to China with the GRAMMY award winning Pacific Boychoir and was also the pianist for Chorissima -- the five-time GRAMMY award winning San Francisco Girl's Chorus Premier Ensemble throughout the 2017-18 season. Originally from British Columbia, Canada, Amy completed her Bachelor's Degree at the University of Victoria with her unparalleled mentor, Bruce Vogt. She furthered her studies in Italy, working with Maria Tipo and Michele Campanella and then returned to Canada to complete a Master's Degree at McGill University in Montreal during which she studied with Dorothy Morton and Louis-Phillipe Pelletier. Amy is currently based in Oakland, California, and is a faculty member at the Pre-College of the San Francisco Conservatory of Music coaching chamber music and piano ensembles. As well as freelancing in the Bay Area, she is part of four local ensembles -- The iO Piano Quartet, the RossoRose Duo, with violinist Alisa Rose, the Eos Ensemble, and the Mana Trio. She is steadily realizing her plan of learning and performing all existing piano chamber music and when not practicing Beethoven or Brahms, Amy can be found hanging out with her husband and dog or riding her bike to rehearsals. For more information please visit www.amyzanrosso.com. 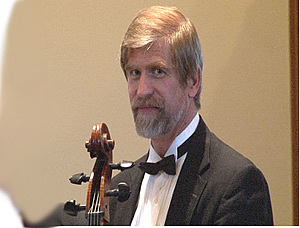 David Chernyavsky joined the San Francisco Symphony in 2009. Native of St. Petersburg, Russia he began to study violin at the age of six. At the age of eleven, he gave his first solo recital. In 1996 he graduated from the Special Music School of the St. Petersburg Conservatory, where he studied with Alexander Yuriev and later with the first violinist of the Taneyev Quartet, Vladimir Ovcharek. During his studies in St. Petersburg he was a prizewinner of several youth competitions and gave numerous concerts in St. Petersburg and also throughout Lithuania, Finland, Germany, and Poland. In 1997, Chernyavsky came to the United States to study at the Indiana University School of Music with the famous professor Nelli Shkolnikova. 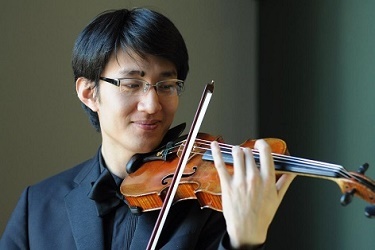 He won the IU Concerto Competition and soloed with the Indiana University Concert Orchestra. In 2000 Chernyavsky with his student quartet won the Kuttner Quartet Scholarship. In the same year, he became a member of the Spoleto USA festival orchestra, where he performed as a concertmaster during the 2001 and 2002 summer seasons. After graduating from Juilliard School with a master's degree he joined the St. Petersburg String Quartet. As a member of the quartet, David has performed hundreds chamber music concerts and gave numerous masterclasses throughout the world. He collaborated with such distinguished musicians as Ida Kavafian, Ruth Laredo, Michael Tree, and many others. In 2005 Chernyavsky was appointed an Assistant Concertmaster of the Washington National Opera Orchestra. In 2007, he joined the Los Angeles Philharmonic. Mr. Chernyavsky has recorded several chamber music CDs with the St. Petersburg Quartet and with the Joel Rubin Klezmer Music Ensemble, and he has released his own solo CD, Klezmer Violin. 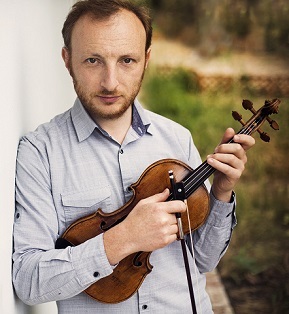 Since 2012 Mr. Chernyavsky serves as a principal second violin and a faculty member at the San Francisco Academy Orchestra's Artist Diploma Program and also coaches the El Camino Youth Orchestra violin section. Ms. Varvara Milinder was born in St.Petersburg, Russia. She graduated from Rimsky-Korsakov College of Music majoring in Piano Performance and holds a Theater History Degree from St. Petersburg Theater Academy. She continued her Vocal Studies at St. Petersburg State Conservatory. Ms. Milinder had developed an extensive concert career as vocalist and collaborative pianist. Recent singing highlights include International Music Festival "Spanish Nights" and production of L'arbore di Diana by Martin y Soler, series of thematic recitals at Yusupov Palace and St. Petersburg Polytechnic Institute, performances at Dutch and Polish consulates, and recitals at Sheremetev Palace and Rimsky-Korsakov Museum. She also recorded CD of songs "Music for a While" with Tatiana Shtoda. Varvara performed the role of Ilia in Mozart's Idomeneo for the Opera Academy of California and also sang recitals at Bellevue Club in Oakland, St.Michael's Ukranian Orthodox Church in San Francisco and Bon Vivant in Palo Alto, CA. This April she was the Chorus Master and also sang in West Edge Opera production of Donizetti's Poliuto. Ms. Milinder participated in Master Class with Lotfi Mansouri and currently studies with Catherine Cook. Born in China, Dian Zhang moved to Los Angeles, CA, where he spent his formative years. He received his Bachelors and Master's degrees at the Peabody Institute where he studied with Victor Danchenko and is currently working toward completing a DMA at the Shepherd School of Music at Rice University where he studied with Cho-Liang Lin for the past three years. Dian Zhang joined the first violin section of the San Francisco Opera Orchestra in the Fall of 2017. Prior to his appointment at the San Francisco Opera, Dian served as concertmaster of the Shepherd School Symphony, Chamber and Opera orchestras. He also thoroughly enjoys exploring and performing unusual repertoire with the conductorless string ensemble, KINETIC as well as with the contemporary music ensemble, Loop38. In chamber music, Dian has appeared with both the Context and Syzygy music series in Houston, as well as performances in Baltimore and New York City. He has also appeared on concert stages in cities in Canada, Brazil, Spain, Austria and the UK. Dian has collaborated with some of the great musicians of our time in various music festivals both in the US and internationally, including the Four Seasons Music Festival, the Yellow Barn Music Festival, the Britten-Pears Music Festival, the Chamber Music Residency at the Banff Centre and the Norfolk Music Festival. Community engagement events are deeply important to Dian; he has participated in events such as the lunchtime concerts at the Sidney Kimmel Cancer Center in Baltimore, a lecture recital at the Baltimore School for the Arts, and runout concerts at the Methodist Hospital in the Texas Medical Center. For the past two years as the Mary Hobson Teaching Fellow at Rice University, Dian enjoyed teaching courses in music fundamentals and music theory for non-music majors. A product of a musical family, pianist Roxanne Michaelian began piano studies with Claire James at the San Francisco Conservatory of Music. She continued her education there completing an undergraduate degree and earning a Masters Degree in Piano Performance under Paul Hersh. Roxanne's first appearance as soloist with orchestra was at the age of twelve when she performed with the San Francisco Symphony on its youth concert series. She subsequently received First Prize in the North American Young Artists Competition in Denver, performing with the Denver Symphony under the baton of Brian Priestman. Other prizes include the Los Angeles Young Musicians Foundation Competition where she was chosen as overall winner. As a result of that award, Roxanne appeared as soloist with the Los Angeles Debut Orchestra under the baton of Calvin Simmons at the Dorothy Chandler Pavilion. She has also been heard with orchestras such as the San Francisco Symphony, Oakland Symphony, San Francisco Chamber Orchestra, the New Century Chamber Orchestra, and Palo Alto Chamber Orchestra. In addition, Roxanne is an active chamber musician and one of the area's most sought-after collaborators. A past winner of the Coleman National Chamber Music Competition and the Carmel Chamber Music Society, she has performed in joint recital with S. F. symphony members such as Michael Grebanier, Nadya Tichman, Stephen Paulson, Jill Brindel, and former principal violist, Geraldine Walther. Roxanne has also performed in concert with Jaime Laredo, Sharon Robinson, Zuill Bailey and Heiichero Ohyama. She has also been a frequent participant at festivals including Chamber Music West, Chamber Music Sundaes, Mid -Summer Mozart Festival, San Jose Chamber Music Society, Oakmont Chamber Music Series, the Chamber Music Society of Sacramento, and the Seattle Chamber Music Festival. Roxanne was formerly one of the pianists for the Irving Klein International String Competition as well as playing as an extra in the S.F. Symphony. She was the piano coach at the Kirkwood Chamber Music Workshop, piano instructor at the Nueva School, Santa Rosa Junior College, the San Domenico Conservatory, and currently maintains a private studio. 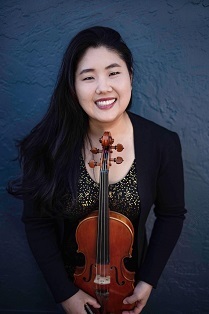 Born in Glendale, California, Jennifer Cho joined the California Symphony as Assistant Concertmaster in October 2013. She was appointed as Concertmaster by Donato Cabrera for in 2017 and has also been a member of the San Francisco Opera first violin section since 2011. Jennifer began her studies at the age of 7 and decided to pursue a career as a violinist in high school while studying with the Los Angeles Philharmonic Associate Concertmaster Alexander Treger. She attended Crossroads School in Los Angeles before venturing east to The Juilliard School. At Juilliard, Jennifer earned Bachelors and Masters degrees while studying with Stephen Clapp and Robert Mann. For her graduate studies, she was chosen by the prestigious Jack Kent Cooke Foundation to be a Graduate Scholar. This JKC Foundation financially supported her studies until she graduated with a Master's Degree in 2008. Jennifer is an avid gardener creating a food forest landscape in her home in Petaluma with her husband, son, two cats, and five chickens.